Check out all the best of the week in Issue 109 of the Tech Smart Boss Newsletter. This week’s Cool Tech of the Week is Convertri. I’ve been using Convertri for over a year (yes, I left Leadpages) and it’s one of the easiest to use landing page creators that I have worked with. There’s 3 benefits I have found from Convertri, first the resulting pages are very fast. And page speed is very important for ranking. Second, depending on your subscription, you can get their Page Importer, which lets you take any web page (hopefully your own) and convert it into Convertri. This feature has worked very well for me. Third, you can set up as many custom domains with SSL as you need. Convertri has a different drag and drop approach to building that is much easier than traditional landing page builder that use a block approach like Unbounce, Leadpages, and others. 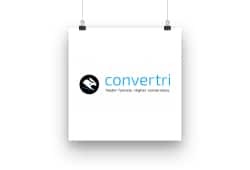 Check out Convertri, and if you are unfamiliar with the importance of Landing Pages, check out Episode 35 of the podcast.